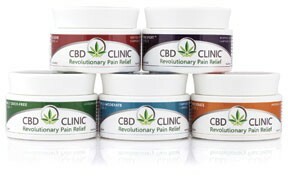 CBD CLINIC Professional Series products, available in 5 formulations and shipping nationwide to healthcare practitioners, are the first to combine FDA-approved analgesic ingredients and cannabidiol (CBD) for quick and effective pain relief of chronic aches and pain. Used by professional athletes, there is no concern with THC showing up in drug tests. Natural and odor-free, CBD CLINIC's innovative formula is praised by DCs and other healthcare professionals for its remarkable efficacy.